grandma's cookie jar: Check This Out - Another Facebook Page for Grandparents!!! Check This Out - Another Facebook Page for Grandparents!!! For the past five years I've been writing about being a grandma, the joys which come with it and passing on a heritage of faith to our grandchildren. Many of you have been reading my blog and fb page since the beginning - thank you! Others of you have joined in during the past five years - thank you! I most sincerely appreciate each of you taking time out of your day to read what I write and to connect and interact by commenting and sharing with the people you know! Today I want to invite you to join me on another grandparenting facebook page where I'm posting every day. 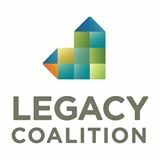 The Legacy Coalition Grandparenting Matters facebook site is at this link and I, along with other Legacy Coalition staff are writing posts to encourage you as you navigate through being a grandparent - and most importantly, passing on a heritage of faith to your grandchildren! Sherry Schumann, Bill & Nicky Gibbons, Jane Larson, other staff from time-to-time and I post, so each day - and several times throughout each day, there is new content for you to discover! We invite you to read and join in by sharing your thoughts and our posts! Please check our facebook post out - we would would be honored to have you join us!